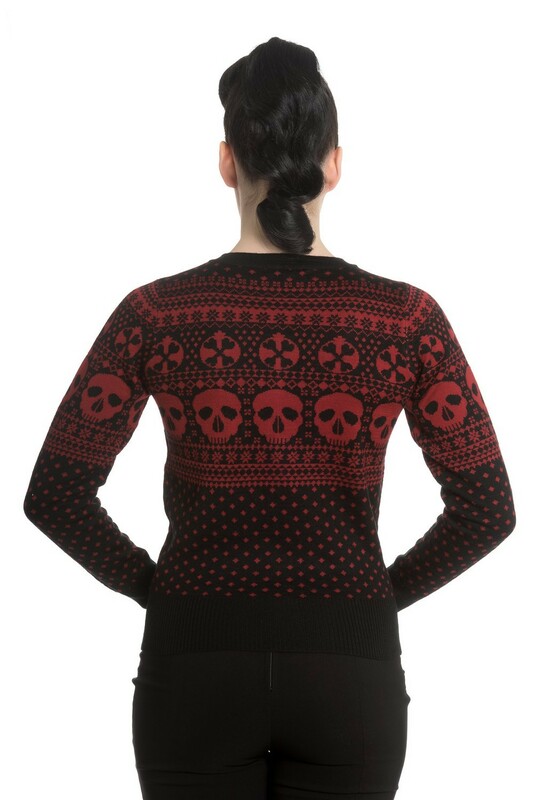 The Hell Bunny Clara Cardigan in Black and Red is the perfect blend of charm and attitude. This knit is made from a comfortable blend of wool and viscose. 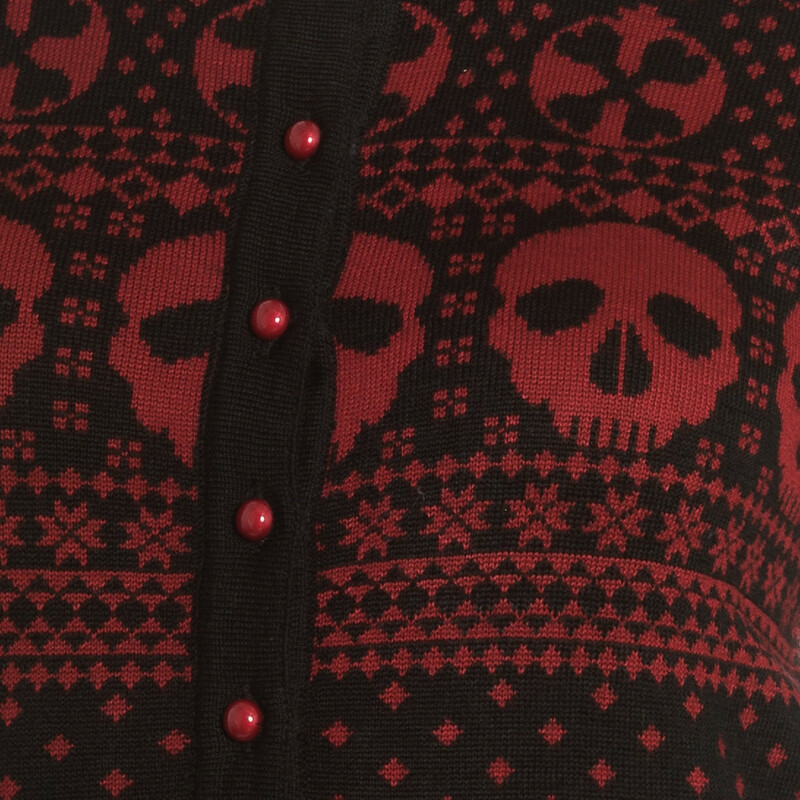 It features a black and red skull jacquard upper, and polka dot bodice and arms with pearled button detail. Cozy long sleeves with bold black cuffs and a ribbed hem complete the look. Looks great with jeans or your favorite swing skirt!